Following in the footsteps of the '$100 computer' developed for the One Laptop Per Child (OLPC) project, another low cost portable computer is on the cards. Mary Lou Jepsen left the OLPC foundation late last year and has now founded her own company, Pixel Qi, which she says is a spin-off from the non-profit OLPC group. Pixel Qi will work towards producing a $75 notebook computer, Reuters reports. 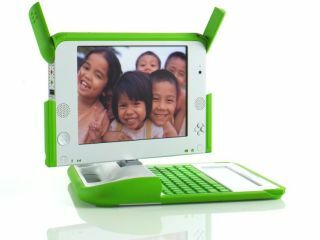 At the OLPC organisation, Jepsen invented the low-cost, low-power screen and power management system of the OLPC notebook computer. The low-cost computer is likely to put pressure on other low-cost PC offerings such as the Asus Eee 701 4G PC in terms of what you can cram into a system while keeping the cost down. Currently, you can snap up the Asus Eee PC for around £220, but when (and if) more low-cost offerings enter the market it is likely to become cheaper. The screen technology - which automatically changes the screen from colour to black-and-white when in bright sunlight - will be featured in the new $75 notebook computer, as well as other mobile gadgetry like digital cameras and mobile phones. The first screens will start surfacing in notebook computers, digital cameras and mobile phones in late 2008 or early 2009. The first $75 notebook computers will go on sale in late 2009 or early 2010, according to the Pixel Qi website.